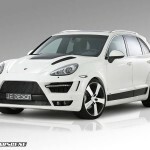 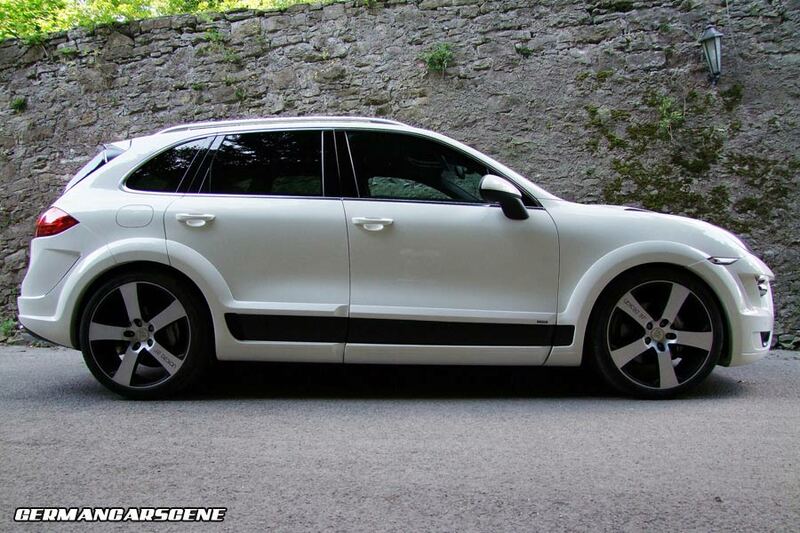 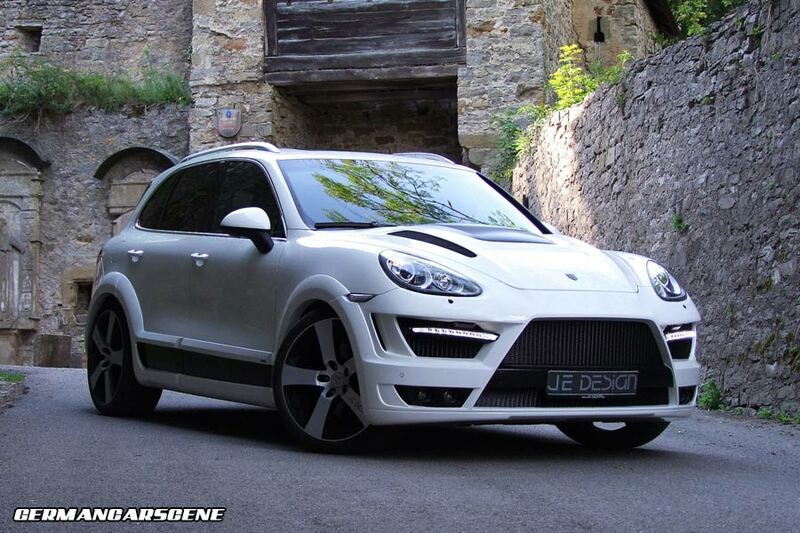 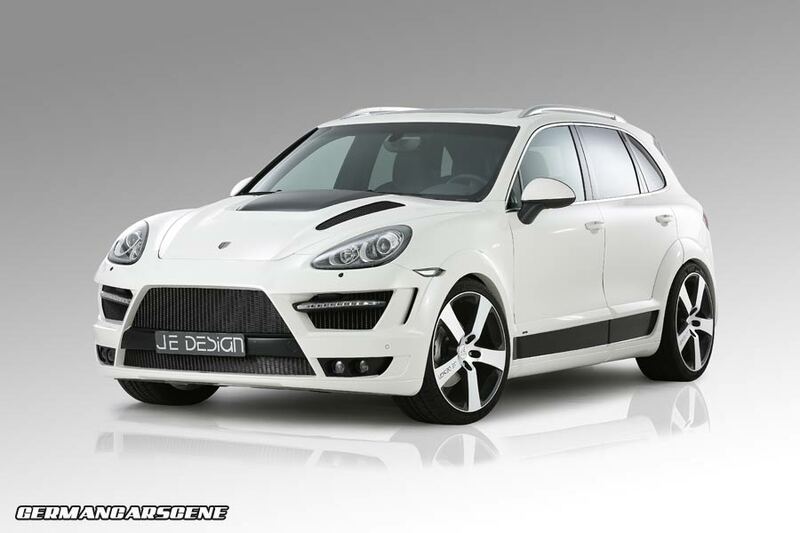 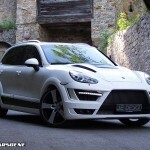 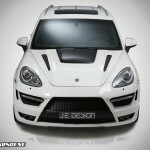 Leingarten-based styling specialist JE Design has developed a wide-body program for the (Type 958) Porsche Cayenne SUV. The ‘Progressor’ package consists of an aggressive fascia with optimized air intakes, flared wheel arch extensions, side skirts, a ventilated hood, side roof spoiler extensions and a vented rear bumper with integrated diffuser. 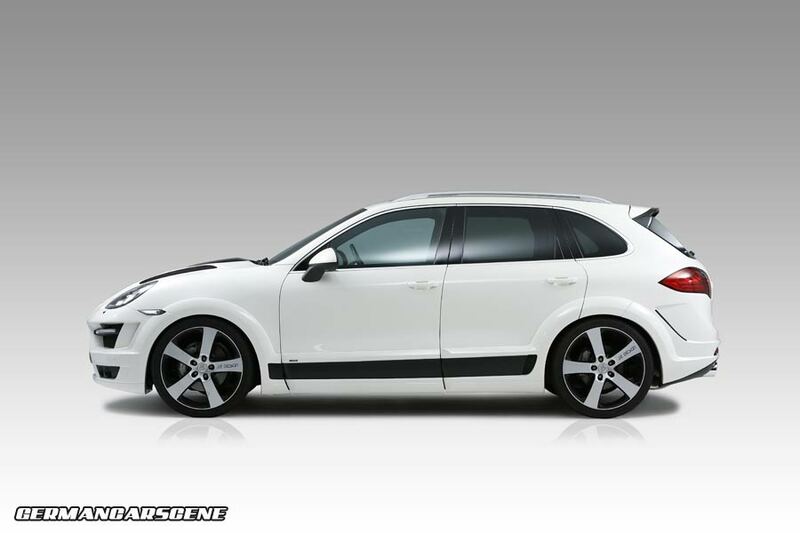 The kit also includes a pair of fog lamps and high beam lights, factory LED units from the GTS model and quadruple 100 mm tailpipes. 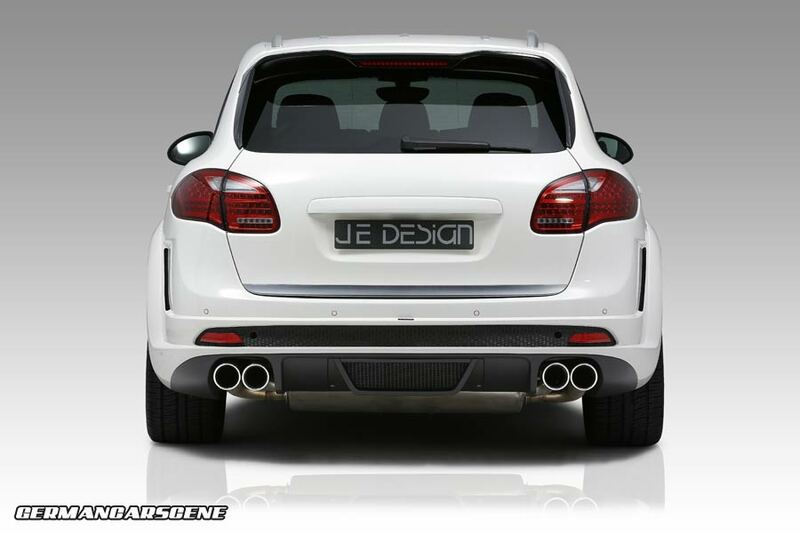 Rear mufflers with throttle control can be added for the S, GTS and Turbo versions. 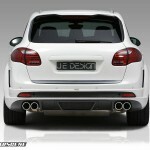 A choice of two wheel styles are available; the flat-faced SUV-Select and the Scorpio. 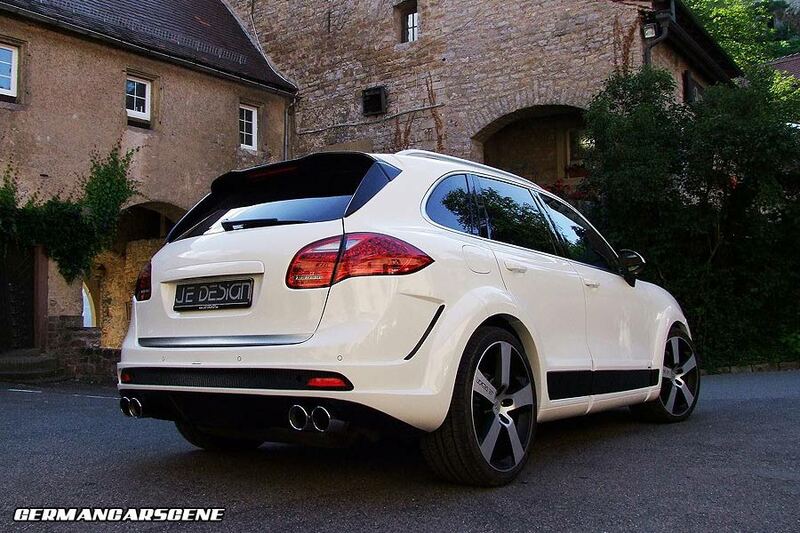 Sized 10×22-inches and wrapped in 295/30 R tyres, JE also adds 60mm and 80mm spacers to fill out the new arches. 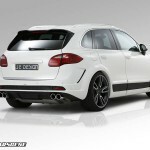 Lowering the Cayenne is the company’s air suspension module, which allows the owner to adjust its ride height via an iPhone app. 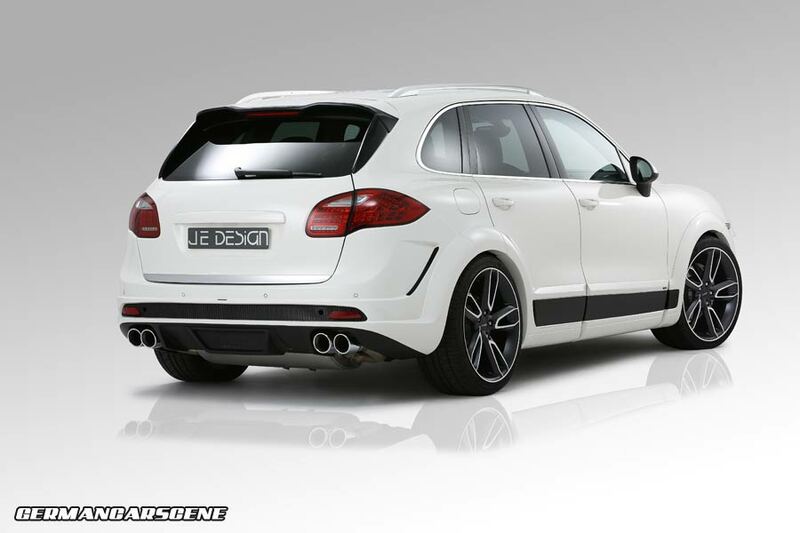 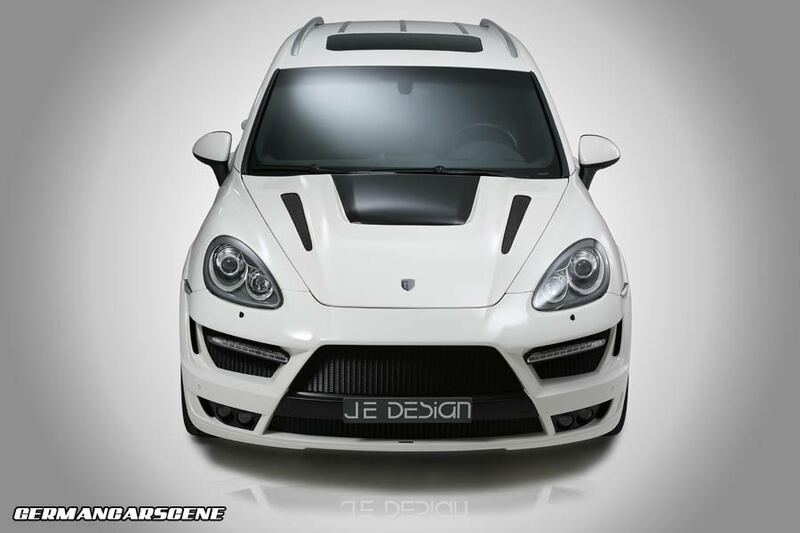 JE Design tells us that it can carry out the conversion, including fitting and painting of the kit along with suspension and wheels from €28,038, while engine upgrades are available for both petrol and diesel models, with the Cayenne Turbo capable of producing 455 kW (610 hp).